Local separate themselves with almost no connectivity for six months a year. In picture are Loba women that perform local duties, one of which is working with wool. Description: PALERMO. 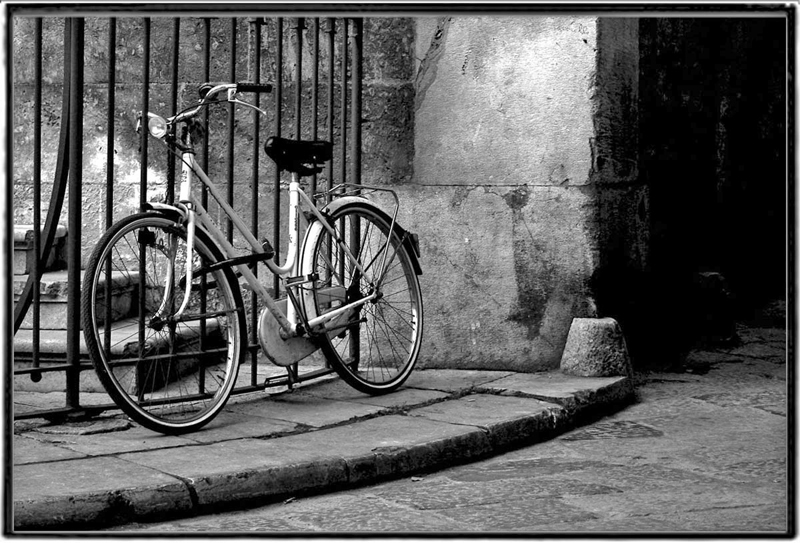 Bicycle at the door of the church of St. Francesco d'Assis. 2007.